to bitsdiaries@live.com subject to "WIN Giveaway #1". *Multiple entries are allowed BUT, limited to ONCE per day per participant. More than one entries per day will result in disqualification. * This giveaway only opened to people residing in Singapore! ** All prizes will be mailed via SingPost. 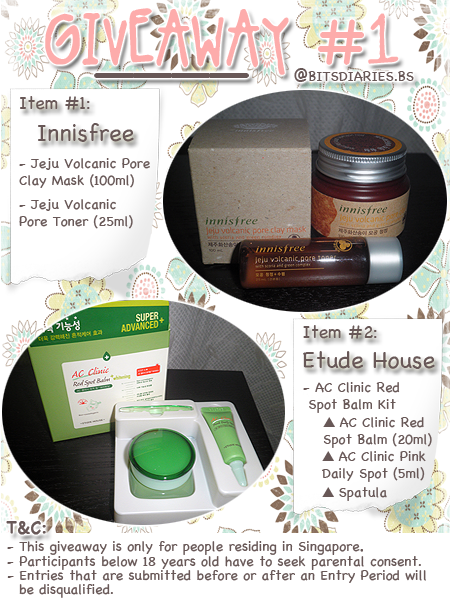 ***Winner will be announced on my blog one week after the event ended and will be notified by email directly.